In a used Hyundai Sonata, you’ll be cruising in smooth style, whether transporting your family to the beach or chugging across town to get to work. These used mid-size sedans are both affordable and easy to live with, thanks to their roomy cabins and smooth, quiet performance. Modern Sonatas also offer the full range of safety aids to bolster your on-road confidence. Check out our buying guide to learn more about how the used Hyudani Sonata has evolved over time. Why buy a sixth-generation used Hyundai Sonata? This crop of Sonatas offers an excellent value proposition for smart used car buyers, delivering just about everything you want from a mid-size sedan: interior style, sporty performance, and rich comfort. 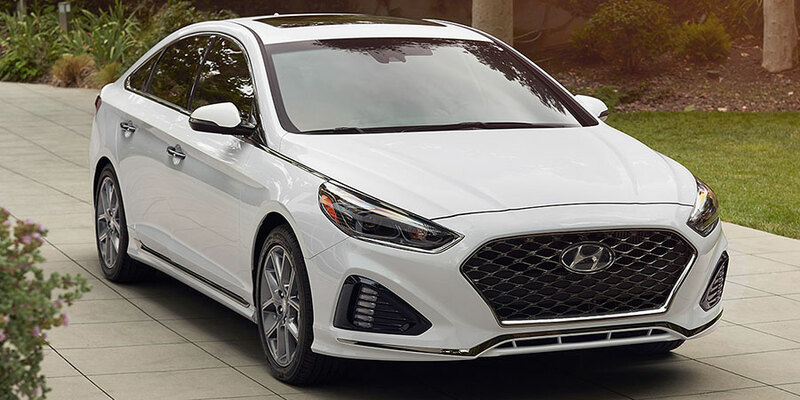 Shoppers love the sixth-generation used Hyundai Sonata because these models provide a long list of standard features and cutting-edge technology at a thrifty price. The Sonata’s spacious seating and roomy trunk are also nice touches. 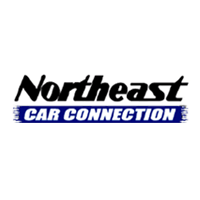 This mid-size sedan will get you, your family, and a trunk full of luggage across state lines in complete comfort. Dash organization is another high point, with its easy-to-reach controls and intuitive layout. For anyone who spends a lot of time in the car, the Sonata offers you what you need and a ton of what you want. How have these mid-size sedans changed over the years? For the 2018 model year, Hyundai gave the Sonata a significant makeover. From 2018 on, the Sonata 2.0T trim model featured an eight-speed automatic transmission, improving fuel economy at high speeds. The 2018 Sonata also introduced sleeker exterior styling than its predecessors, though earlier versions are attractive and handsome. Why buy a fifth-generation used Hyundai Sonata? This Hyundai Sonata is the total package. In addition to giving you a great price on passenger-friendly transport, this used sedan does double duty as comfy commuter. The cabin supplies generous space and supportive seating, the two things you need for hours of on-road comfort. Thanks to these used Sonatas’ solid build quality, you can expect them to last for years to come. The 2014 Sonata is more modern than the previous versions. The 2014 Sonata was also the first to feature standard driver-selectable steering options, giving you your best ride in different driving environments. Before 2014, some features simply weren’t available. 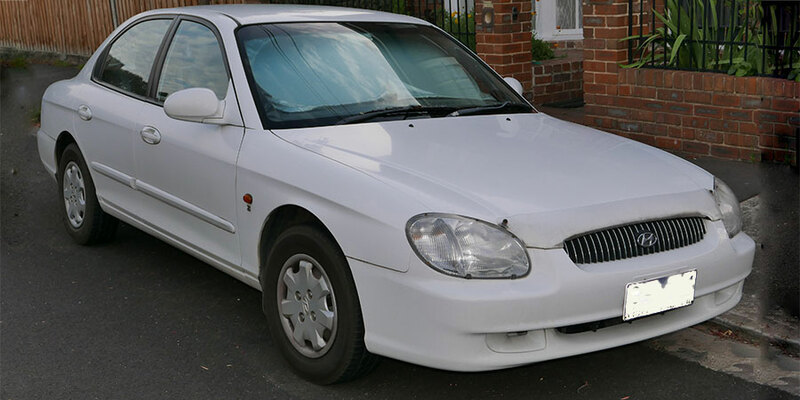 These include xenon headlights and a handy blind-spot monitor, both of which improve visibility and safety. The 2012 Sonata introduced Hyundai’s Blue Link service. This emergency telematics system helps you solve problems. It’ll send roadside assistance late at night and automatically notify emergency services if you’ve been in an accident. From 2012 on, the Sonata also offered a navigation system with higher-resolution graphics, making it easier to see where you’re going.